Snyder Entertainment has the pleasure of executing and hosting hundreds of corporate events every year, and with all of the events come various office cultures that require different style choices, event must-haves and themes. Aside from the normal holiday office parties, we often have clients who come to us for other company events, such as sales meetings, regional conferences, and so on. 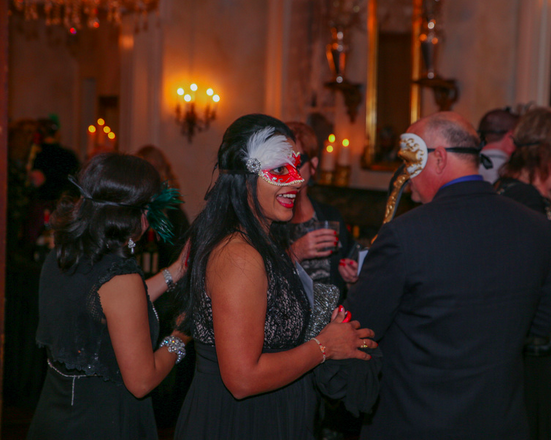 A statement we hear a lot from our corporate clients is that they want to do something unique, something that connects the employees, unique to their organization, and they want it to be a memorable night for everyone. This month we did just that when we were able to design an unforgettable experience for one of our corporate clients, Net Health. Net Health is a company based out of Pittsburgh, Pennsylvania and they have a local office in Brentwood. This event was their "Winter Connect Celebration" that they host annually for their regional offices. They wanted to include elements of team building, music, photography, and networking; they wanted a truly customized, fun experience. 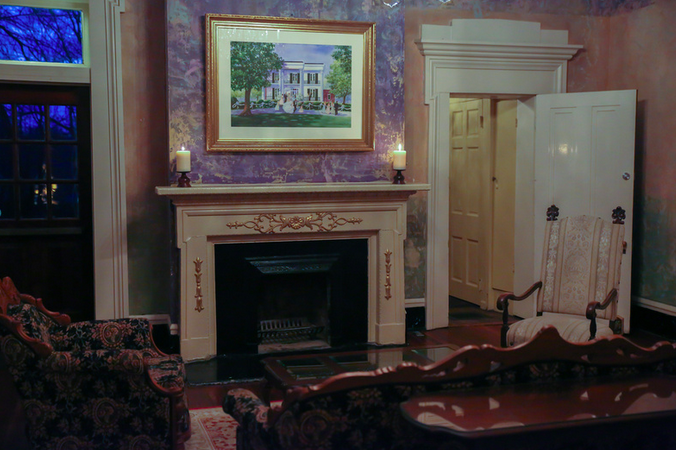 Naturally, Snyder Entertainment created a memory that's to die for.. A Murder Mystery Experience. You're probably wondering what is a Murder Mystery Experience? Well think back to your childhood; remember the game "Clue?" It's a life-size version of the popular game that's brought to life! Snyder Entertainment will bring the game, all you and your guests have to do is work with and against one another to solve the mystery before the end of the performance. Your guests are all suspects, and one of them IS the murderer; they just don't know it yet. We have 8 themes: Killin' it on Broadway, Crime and Punishment, Dance with Death, Totally 80's Totally Murder, Murder at the Masquerade, Of Sound Mind and Dead Body, 'Till Death Do Us Part, and It's the Most Wonderful Crime of the Year. 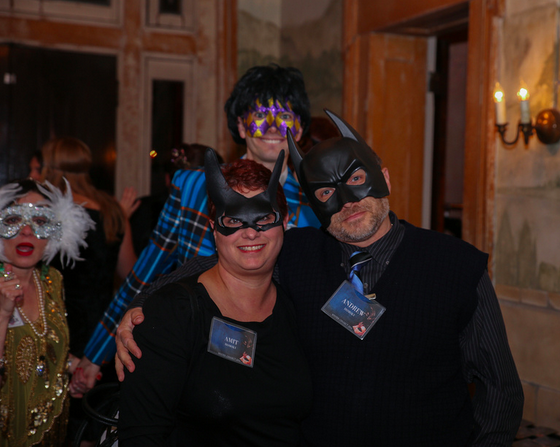 Click here to read descriptions + synopsis of each theme, and to learn more about Murder Mystery Experiences that Snyder Entertainment has hosted in the past! Brad Ford headed up this event and if you know Brad then you know that his attention to detail and unique event loving personality make him a great choice of host. Once Brad began consulting with our clients, they started discussing and looking at different themes, venue ideas, and so on. 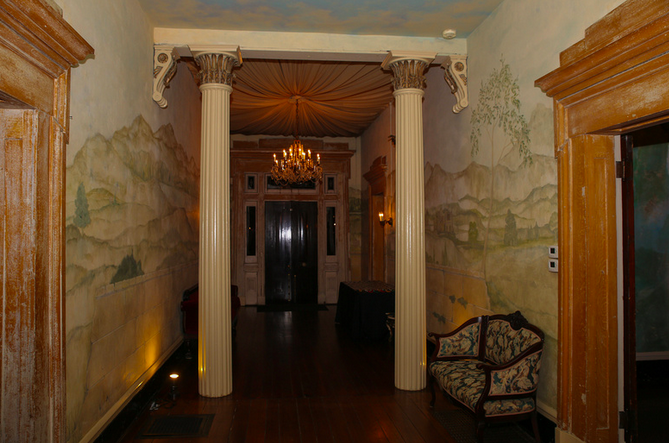 Once they narrowed down some ideas, Brad told them that in his opinion their chosen venue, the Riverwood Mansion, would be the perfect location for either of their theme choices, as it provides an incredible backdrop. 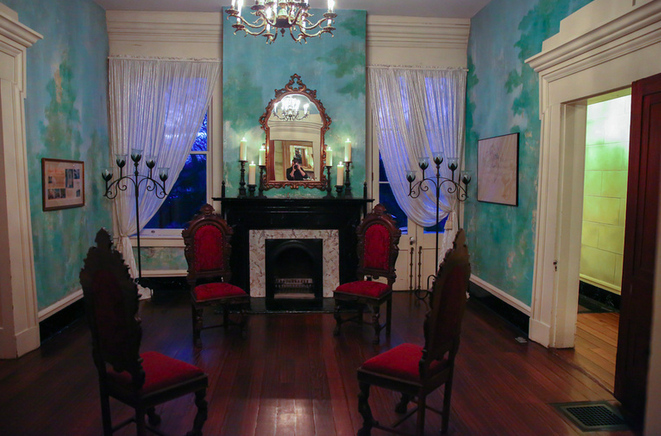 The Riverwood Mansion is one of Nashville’s historical treasures, and the Metropolitan Historical Commission has identified it as one of Nashville’s most significant historic structures. Built in the late 1790′s among its original 2,500 acres, Riverwood is one of Nashville’s oldest homes, and at 9,200 square feet, it is one of the largest. Known for its lavish parties, with famous guests including seven U.S. presidents. In the late 1990's Riverwood was purchased and renovated by it's current owners and is now the ideal event venue for classic Southern style weddings and events. Snyder Entertainment continues the tradition of making unforgettable memories. 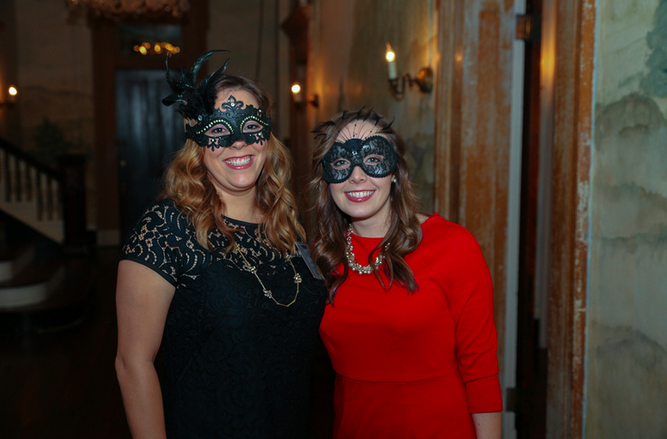 Our Net Health clients chose the Murder at the Masquerade theme, as it is a little easier in terms of guests dressing the part in evening wear, ball gowns, Venetian masks, suits, and tuxes. After all isn't that what you would wear to this high class night of masks + murder? 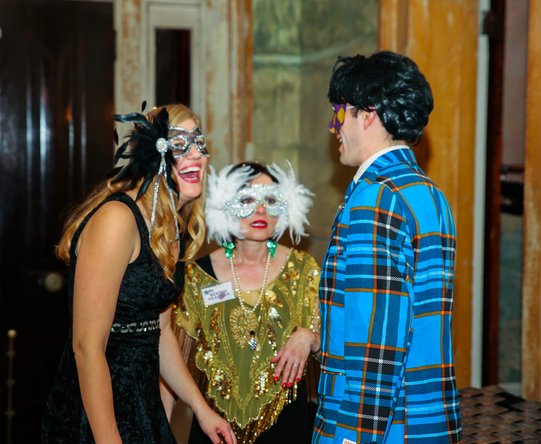 Their theme synopsis for their guests was to imagine you're at a Billionaires Masquerade Ball where members of the Billionaires Club are treated to dinner and games, but one of the games turns deadly. 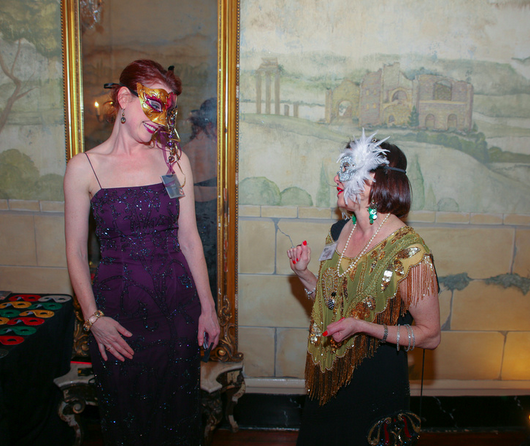 The rustle of silks and feathers under muted conversation was probably the last thing heard by the tragically and unexpectedly deceased at the Annual Billionaires Club Masquerade Ball. With a mystery under each feathery façade, unmasking the killer may be quite a challenge. It’s up to you to determine which partygoer is guilty, bring this crime to justice, and save the party! Guests are prompted to help get this soiree started by trading clues with one another, gather information, and solve the crime before the masked menace gets away! Get ready to hear all about this glamorous evening of mystery, intrigue, and murder..
Net Health's evening with the Snyder Entertainment produced Murder Mystery Experience is the prime example of how great and unique an event can be. There was a lot of team work, networking, laughs, surprises, guessing, and photography all included in their package. 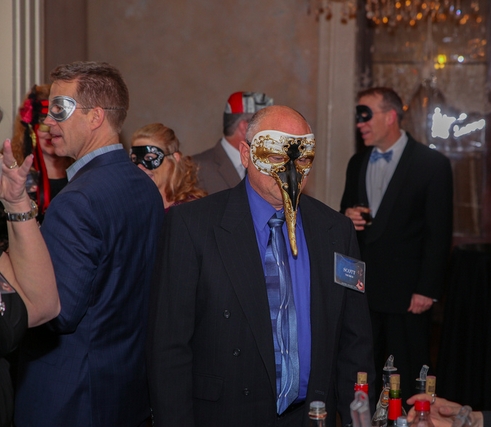 Net Health also included drinks + dinner for their guests, which added to the effect of the Billionaires Ball theme. Including additional services like music, lighting, photography, photo-booths, and dinner/drinks that all work together, can really enhance the atmosphere of the evening. The incredible cast of actors that come along with the packages, complete the evening. 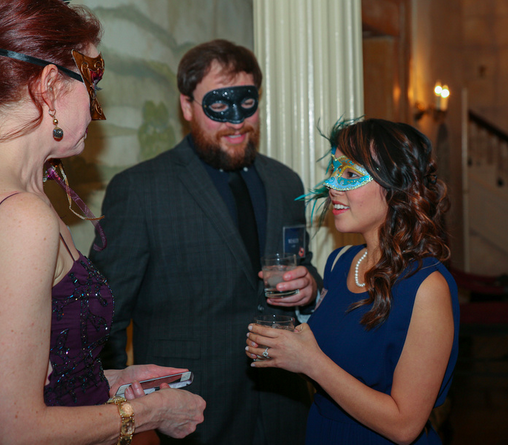 They are very interactive from the very beginning with the guests; they guide guests with clues, hints, and even hand out awards at the end of the evening. Snyder Entertainment has executed other Murder Mystery Experiences for groups as small as 20 and as large as 500+, so you don't have to have hundreds of people to enjoy this experience fully. 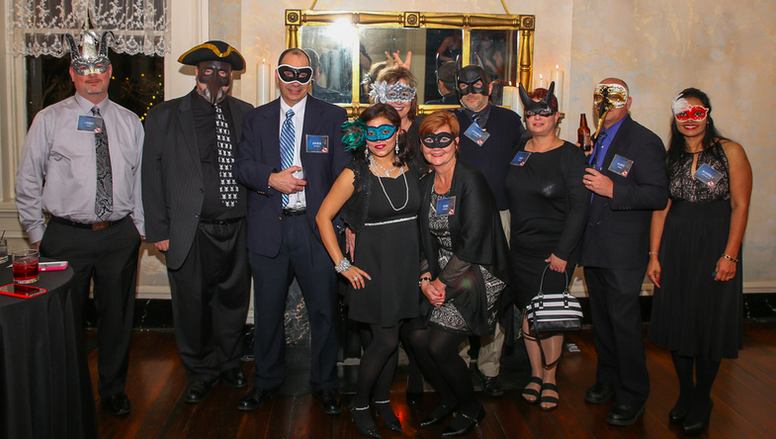 We create + produce amazing, customized events using our Murder Mystery Experience service.